For the people of San Antonio, in Texas, Argentina is a close country, or at least I felt it from the moment I arrived at the airport. As I advanced through the streets and highways of this huge city with colonial airs and in the process of modernisation, there was no shortage of people who, upon discovering that I was from Buenos Aires, smiled and shouted “Manu!” Some even looked in their pockets for an article to mark the Spurs’ logo, an NBA team where Ginóbili, the most important Argentine basketball player, is considered a myth. A phenomenon that somehow made me feel quickly at home despite the sixteen hour flight. But my visit to this corner of Texas had nothing to do with the star of basketball (although I wouldn’t miss a chance to go to a Spurs game), but another thing very recognised on Texan soil: our wines. Those who automatically associated Ginobili with Argentina exclaimed “Malbec!” when I told them that I was a sommelier of these lands who would soon be giving a seminar on our viticulture in The Culinary Institute of America (CIA). I would not only face that mission, but also as part of the Wines of Argentina team that participated in the first edition of Arriba el Sur – South America Wine & Food Summit, along with Argentine cooks Danny Bramson and Diego Biondi. During the 25th, 26th, 27th and 28th of October, our task was to participate in clinics and seminars in the framework of this gastronomic festival organised by the CIA, one of the most important gastronomic establishments in the United States. 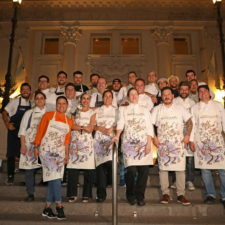 There were four days of activities in which la creme de la creme of the gastronomic area of San Antonio met to discover the flavours of Argentine cuisine and our wines. “Argentina is a country that arouses curiosity and enthusiasm in San Antonio. We all know Malbec, but it’s time to learn more, “were the words chosen by Fernando Zalazar, general manager of the CIA, to start our seminar. The principal presentation was on October 27th in the main hall of the CIA to 120 professionals from the gastronomic field of San Antonio and other cities of Texas. Chefs, sommeliers, wine bloggers, journalists and managers from the top hotels in the area were about to start with a “Malbec tasting”, although we were actually expecting them with a more ambitious plan. “How many of you usually uncork Argentine wines?” I asked the audience to break the ice. The answer was overwhelming. Almost all those present raised their hands as they mentioned the labels they enjoy. The prominence of our emblematic strain was also evident in this Texan city. It was an ideal setting to invite them to discover much more of the wines of Argentina and Malbec. 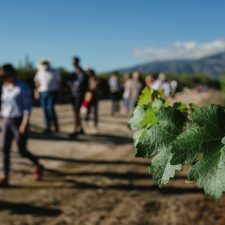 One of the aspects that most captivated them was the history of Argentine viticulture and the strong cultural bond we have with wine. 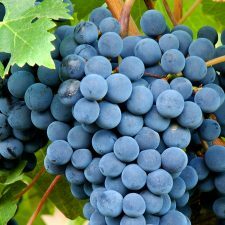 It took even the most knowledgeable of them a while to digest that in our country wine-growing began four centuries ago and that most of the production is uncorked in the domestic market. The virtual tour started in Salta, continued through Mendoza and finished in Patagonia. First, the Torrontés, with its history and character, seduced the cooks, who emphasised the gastronomic potential of its flavours. 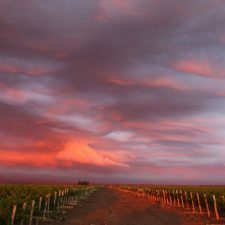 Patagonian winemaking captivated them with its picture postcards, but also with the style of Pinot Noir that is achieved in the region, especially for those who had never tasted an Argentine Pinot. As for Salta, more than one asked us to repeat the altitude at which the grapes are grown, since it seemed incredible the possibility of growing vines above 2,000 meters, and much more the expression of high altitude wines . The main dish was the Malbec tasting from different regions, an exercise that introduced them into a world of nuances and styles for a wine that many thought they already knew perfectly. “The diversity of flavours of these wines excites me, I cannot wait to see those vineyards,” confessed Veronique Barretto, sommelier and brand ambassador of Pedernales Cellars. Like her, many of her colleagues claimed that they had discovered a new horizon for Malbec. After the seminar, we participated in a masterclass of Argentine cuisine by Danny Bramson and Diego Biondi with a dozen CIA chefs. In different groups, they developed a menu with Argentine products and typical recipes. Then we sampled each dish with various labels from our country in search of the best pairing. To the nine wines of the seminar, we added another ten labels, among which were those of Chardonnay and Cabernet Sauvignon. 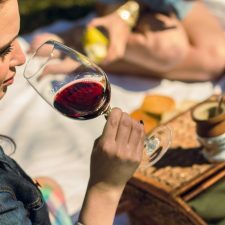 “We really need to discover more wines from Argentina,” said Mark Fusco, a certified specialist of wine and creator of 1337wine.com. Fusco’s opinion coincided with that of all the wine specialists who joined the second tasting, something informal in the bar of the main kitchen. All praised the quality of the two Argentine strains preferred by the Americans: Chardonnay and Cabernet Sauvignon. Proud of the results achieved by California winemaking with these strains, they also praised the Argentine labels they discovered. Over time as a judge, we look for ways to share as much as possible with those who ask us to know more. The enthusiasm of the Texans was summed up in two questions: when should I go to Argentina? And, what wineries should I visit? Questions that gave rise to infinite answers according to the interest of the questioner. A real challenge when we still have so much to say about our wines and there are so many people wanting to discover them. Perhaps 2017 will give us another chance for more uncorking in San Antonio and in other corners of the planet. 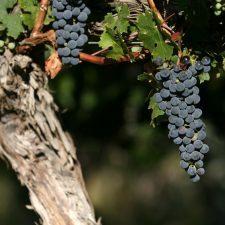 ...How are new flavours created in Argentine wine?